Let me guess....exercise more? eat better? spend more time together? 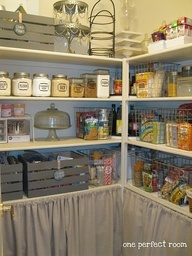 I truly believe if you organize your pantry you will lose weight, be more motivated in every way and spend less time looking in deep wicker baskets for spices dating back too many years. Yuck. Enough. paper towels and cleaning supplies I suspect. 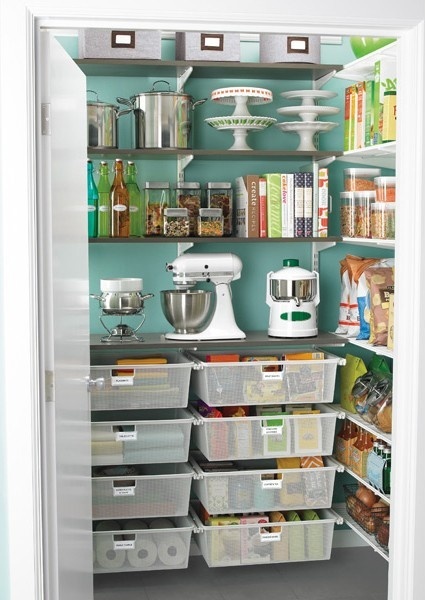 choose fanciful hardware or skirt them. and forget what you bought. at a quick glance you can determine what is low, flour or sugar. the prominent position of the classic mixer. 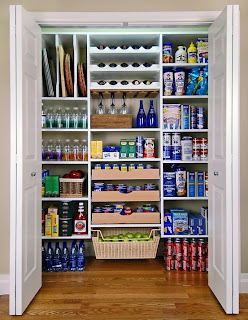 This is a pretty pantry. This is very color coordinated but organized none the less. 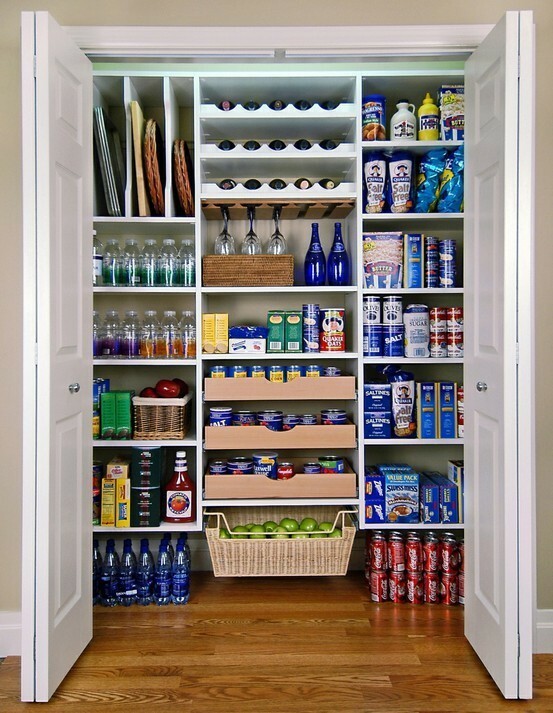 Everything right in front with nothing hiding too far back. Happy new year- pitch the old and embrace the new.